Opened in 1835, Thomas U. Walter designed it with elements of Egyptian Revival style and following the revolutionary principle of isolated confinement. With later additions, it could house nearly 5000 inmates - African Americans and women in separate wings. H. H. Holmes, considered Americas first serial killer, was executed here. 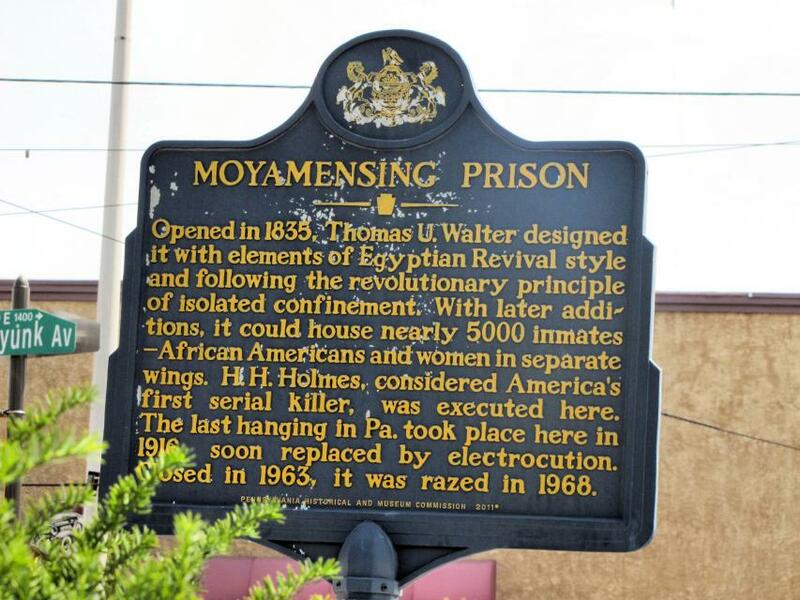 The last hanging in Pa. took place here in 1916, soon replaced by electrocution. Closed in 1963, it was razed in 1968. This marker can also be identified by its HM code. You can use the hashtag #HM1KMO in tweets, and any other place where you might refer to this marker, including when searching on this site.